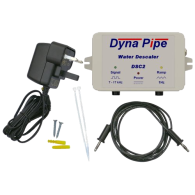 Dyna Pipe electronic water descalers are devices that prevent limescale build-up caused by hard water. Limescale, found in hard water areas, clogs pipes, reduces the efficiency of heating elements and leaves white deposits on tiles, baths and basins. 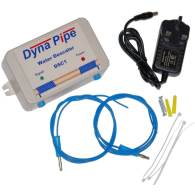 An electronic descaler inhibits the build-up of limescale and is the modern, low cost, eco friendly, salt free alternative to an old-fashion water softener. 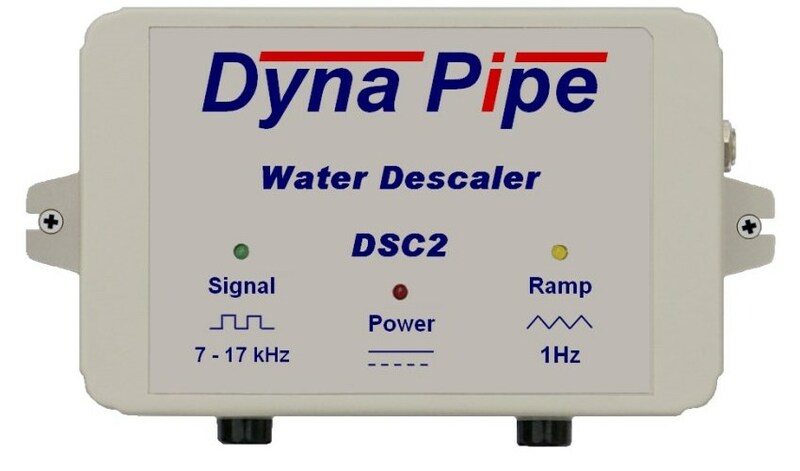 For pipe sizes up to 22mm, the Dyna Pipe DSC1 Electronic Water Descaler provides a low cost solution for Limescale Problems caused by hard water. UK mains adaptor provided as standard. 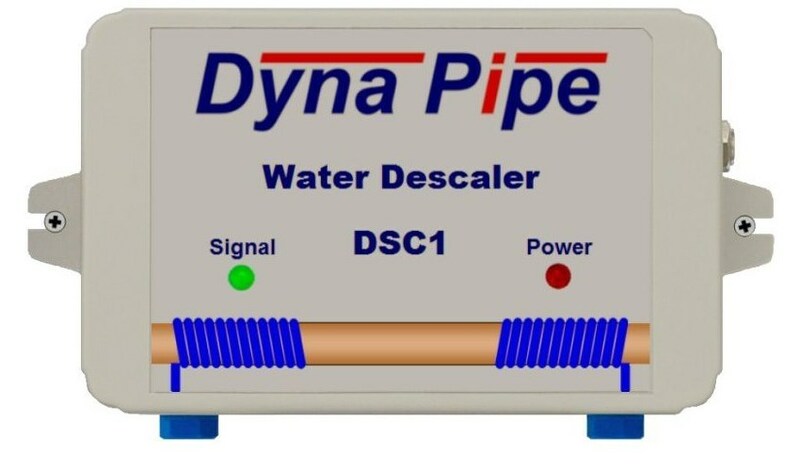 For larger pipes, up to 28mm, or use in extremely hard water areas, the	Dyna Pipe DSC2 Water Descaler provides maximum protection against limescale. Electronic Water Descalers belongs to a group of devices known as Physical Water Conditioners and works by applying an electromagnetic field to the water supply via cables wrapped around the pipework. This electric field alters the characteristics of the water so that it acts	like Soft Water whilst retaining essential minerals found in Hard Water. As well as preventing limescale, a water descaler will also remove limescale over time. A water descaler is easy to fit and costs less than £5 per year to run. Simply wrap the coils around the main water pipe, fix the descaler to the wall, plug in the ac/dc adapter and switch on. All our prod­ucts come with a two year guar­antee against man­ufactur­ing faults. If after six months of continuous use, you are dissatisfied with the performance of your water descaler, you may return it for a full refund. FREE delivery and re­corded tracking on all EU orders. We use PayPal for all our transactions to ensure safe, secure payment processing. You DO NOT need a PayPal account to pay with PayPal and you can use any major credit or debit card to make your purchase. How hard is the water in your area? Find out here.